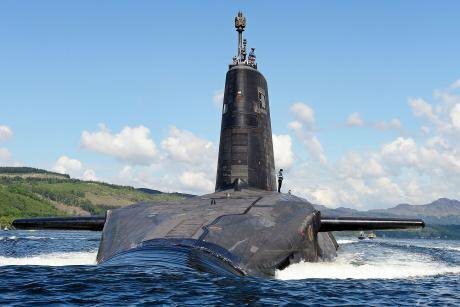 Recent arguments claiming to make a left wing case for Trident are riddled with holes. Jeremy Corbyn’s election as the Leader of the Labour party has generated a number of articles from left and centre-left writers attempting to steer a course, as they see it, between Corbyn’s support for scrapping Trident on the one hand, and the Tory government’s plans to renew the nuclear weapons system on the other. In April 2016 Paul Mason, considered by many to be one of the most left-wing journalists working in the mainstream, produced a short video for the Guardian titled ‘The leftwing case for nuclear weapons’. A day later he published an article called ‘A new defence doctrine for Labour’, which fleshed out his thesis. According to Mason, Labour should support the renewal of Trident. And should Scotland vote for independence and to scrap Trident, then Labour should support the movement of the nuclear base from Faslane in Scotland to a location in England. Stop the War Coalition’s Lindsey German wrote a good, quick response to Mason, noting how his “left wing case for nuclear weapons” is actually “no different from the right wing case for nuclear weapons”. However, there are a number of very serious problems with both Mason’s and Maynard’s articles, problems which are common in other commentaries on the topic, so I think are worth highlighting and considering. Mason and Maynard are both guilty of using bland and deliberately misleading military and government-derived definitions and terminology, with both authors unwittingly defining and discussing the topic in particularly establishment and military-friendly ways. I suspect both authors would be horrified by this suggestion, so let me provide examples of the hidden assumptions and framing in their arguments. Both Maynard and Mason are happy to unquestionably and uncritically refer to Trident as part of the UK’s “defence policy”. “Defence” is, of course, a deeply political, deeply problematic descriptor for UK military policy that critical writers and thinkers have tried to draw attention to and unpack. It was, after all, the Ministry of War before it was given a PR makeover and renamed the Ministry of Defence. Indeed, after the aggressive and deadly invasions of Iraq and Afghanistan – interventions described by Maynard as part of “defence spending” – surely only the most brainwashed would continue to refer to the UK’s “defence policy” without breaking into fits of laughter? Maynard describes unilateral disarmament, like full replacement, as an “extreme option”, before noting “unilateral complete disarmament” is “just as dangerous” as fully replacing Trident. Mason doesn’t make such explicit statements about scrapping Trident but like Maynard’s article his piece is implicitly trying to steer a course to what he sees as the middle ground – which includes the retention of nuclear weapons – between the left and right of the Labour party. “War policy” becomes the much more benign “defence policy”. Reducing the ability of the UK’s armed forces to commit genocide is “extreme” rather than an urgent rationale, humane and moral task. Adhering to international law (see below) is “extreme” while retaining a reduced nuclear weapons capability is the sensible, right thing to do. The problem with framing one’s argument in terms of the mythical centre ground is that it ignores the global context which shows it is those who support retaining nuclear weapons that are extreme, unusual and in the minority: currently just nine nations possess nuclear weapons, which means over 180 nations on earth do not have nuclear weapons. Both Mason and Maynard uncritically invoke the highly-loaded, and again, highly-contested term “national security” in their defences of the retention of nuclear weapons. Do all sections of society equally gain from notions of “national security”? Who makes the decisions regarding “national security”? By what actions is it achieved? One key use of the term is obviously as propaganda – deployed to close down awkward questions such as these. Even if one were to accept the term at face value, there is little evidence to suggest nuclear weapons positively influences national security. Mason makes the extraordinary claim that “a government prepared to make significant inroads into the power and wealth of the elite needs to demonstrate it can safeguard national security”. Back in the real world, anyone who has been awake and sentient since 2001 will have noticed that successive UK (and US) governments have consistently carried out actions that have predictably endangered the lives of British people at home and abroad. As Noam Chomsky has observed, the dirty little secret of “national security policy” is that “security is at most a marginal concern of security planners”. Of course, “deterrence” itself – repeatedly referred to by Mason and Manyard – is another example of terminology that is far from neutral or descriptive but rather ideologically loaded in support of nuclear weapons culture. First, it suggests a defensive posture. Indeed, Maynard’s examples suggest he is only able to consider British nuclear policy as defensive in nature, discussing how nations such as Argentina or “an ISIS-like entity” could attempt “to elicit considerable concessions out of Britain on our vital interests”. The problem with this framing is that, like virtually every war throughout history, most nuclear arsenals and weapons systems are publicly justified as defensive. But with much of history showing that the words uttered by established power are generally meant to disguise its actions, what I’d like to politely suggest is maybe highly educated, privileged and influential members of the elite should have developed a sufficiently critical mind to not blindly repeat the underlying assumptions behind government’s framing of an issue. In reality the UK threatened to use nuclear weapons during the war on Iraq in 2003 – that is it has carried out, in the words of activist and author Milan Rai, nuclear terrorism. So far from deterring a threat to the UK’s “national security”, in this instance Trident was used to discourage another government from resisting the US and UK’s aggressive invasion of their nation. None of these frightening close calls are mentioned by Mason or Maynard in their support for the retention of nuclear weapons. Why? Finally, both authors do not mention the effect and influence that nations possessing nuclear weapons have on other nations. As Professor Mary Kaldor noted last year during an London School of Economics public event on Jeremy Corbyn’s foreign policy the UK’s continued ownership of nuclear weapons “legitimises a sort of discourse in which power depends on destruction capacity. And what that means is that obviously there is a reason for other countries to acquire nuclear weapons. Sooner or later some mad person might get them. So the only thing our having nuclear weapons does is to say to people ‘having a nuclear weapon makes you important’. And then everybody else wants to have the same.” In short, there is a direct link between the retention of Trident and the likelihood of further proliferation of nuclear weapons around the world, as the Director of Medact pointed out in 2006. Writing in the Guardian in 2013 Schlosser argued “Britain has never had a full, vigorous debate about its nuclear weapons, based on the facts.” Chockful of crucial omissions, obfuscation and ideologically loaded language, Mason’s and Maynard’s articles do not get us any closer to this much needed informed national discussion. Indeed, by uncritically repeating all of the dubious terms and definitions above, the authors are effectively helping to normalise the politically questionable definitions and terms that help to provide linguistic support for the retention of Trident. More broadly, at the same time they unwittingly reveal uncomfortable truths about their own establishment and military-friendly mindsets, the authors also inadvertently raise awkward questions about the intellectual standards and rigour of the supposedly top university in the country and our so-called quality media. To paraphrase Will Hunting, the numerous errors, slips and omissions that Mason and Maynard make are so basic and obvious that they could be easily found, understood and bettered by anyone willing to spend £1.50 in late charges at their local public library.